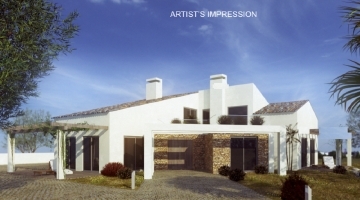 Property for sale in Silves, Portugal. Properties Silves. Silves is a very pretty town full of history. The cobbled streets are lined with local shops bars and a daily morning market full of local homegrown produce and a fish market. it has an indoor swimming pool and keep fit facilities. A large supermarket. many facilities can be reach within ten minutes drive including golf and beaches and shopping facilites including a brand new shopping mall which includes primark and H and M can all be reached within 20 minutes by car. In all a beautiful place to live with all facilities on your doorstep.